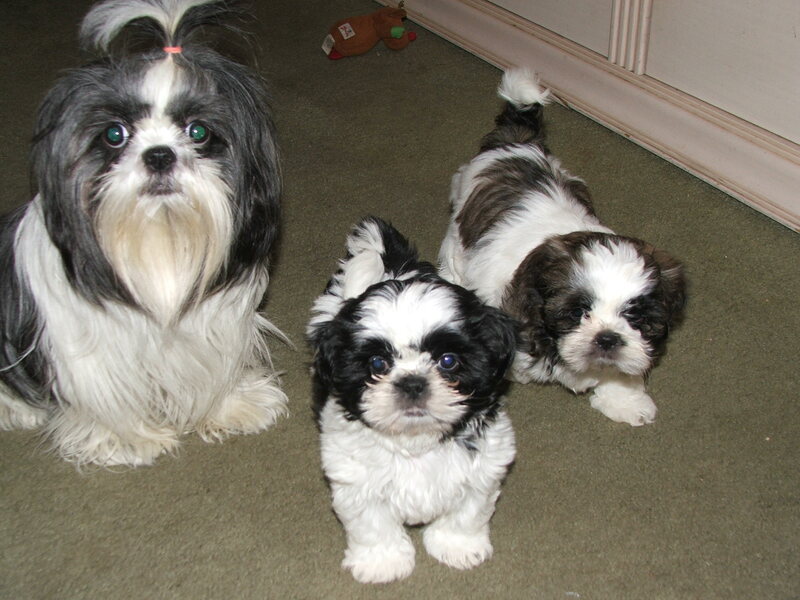 The Shih Tzu training starts when they are born. This is when the Mama Tzu begins teaching her babies basic fundamentals of life. In a perfect world, that would be all the training they need. Unfortunately it's not a perfect world, and as cute and sweet and lovable as they are, Shih Tzu need to be taught, at the very least, basic training commands. Basic training commands like sit, stay, come and lay down are the important ones. For behavior problems like biting, barking, jumping, and chewing, you'll probably need advanced training. It’s not hard to train a Shih Tzu, but there are a few things that are specific to the breed, and you’ll want to know about them when undertaking your new adventure. When training your Shih Tzu, it's very important that he knows that you are the one in charge, otherwise it will be your Shih Tzu who becomes the boss. Shih Tzu are very active dogs. That means that they can easily become distracted during training, so they’re best trained on leash, at least to start. You’ll also need to be patient, have consistency, and a routine. The Shih Tzu is a breed that needs routine, and doesn’t do well with surprises. This dog breed responds very well to almost any type of training that offers positive reinforcement. For basic obedience, clicker training is one method that works well, since you’re reinforcing what you want your Shih Tzu to do using a cue (the clicker) and a treat as a reward. For housebreaking, crate training is a good choice, and you should always stick to a sensible puppy training schedule. It’s obvious why you need to house train your dog. As to obedience training, every dog should know the basics – sit, down, stay and come. Not only does obedience training your Shih Tzu make for a dog who knows how to behave when around other people, it can save his or her life. If your dog is approaching traffic, for instance, any one of the basic commands, if immediately obeyed, will keep him or her safe from harm. Basic commands should be obeyed every single time, without question. A badly behaved Shih Tzu is no fun to be around, and can wind up annoying your friends at best, and at worst ending up in a lot of trouble. Aretha knew what she was singing about – respect is important. And when it comes to Shih Tzu training, it’s vital. Your dog has to respect you. 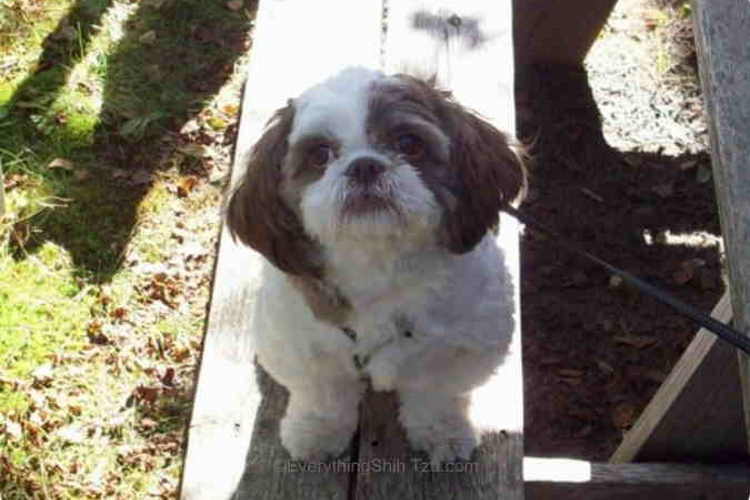 You love Shih Tzu – that’s why you have one! And sure, I guess, some of them may be. The fault, however, can be laid directly at the feet of the person who didn’t train the dog properly, who thought stubbornness, food-guarding, chewing and nipping were cute, or who refused to accept that in a dog/human relationship, the human HAS to be the alpha. And you can be sure that the Shih Tzu, most of the time, WANT to be the alpha. Start your Shih Tzu training as early as possible. 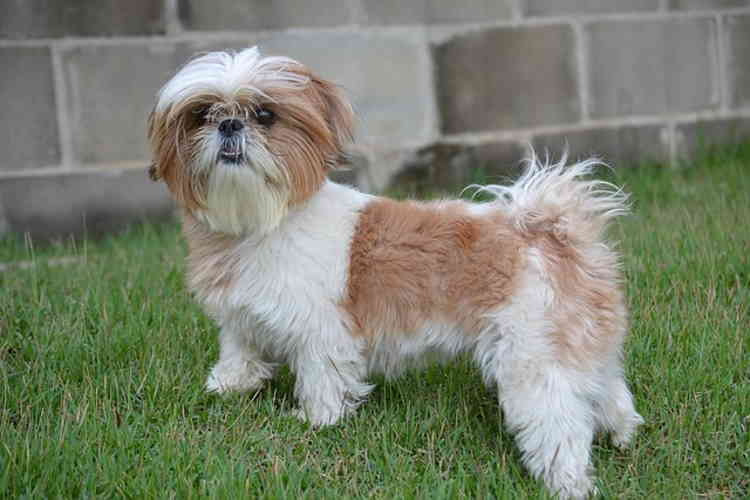 But if you’ve adopted an older Shih Tzu, don’t assume that he or she can’t be trained. It might take a bit of time, and a lot of patience, but these are smart dogs, and if you reinforce good behavior (treats!) and discourage bad behavior, they’ll learn. One of the most common problems in training a Shih Tzu is expecting him to think like a human and, expecting him to respond like a human. I know I'm stating the obvious here, but he isn't human. He isn't going to think like you, and he won't respond to actions in the same way that you would. What’s actually going on in the mind of your Shih Tzu is a world of difference to what's going on in yours. You have to learn what they will respond to so training can be effective. You should never hit your dog. Not with your hand, the end of the leash, a rolled-up newspaper, or anything else. All it does is inspire fear, and break down the trusting relationship you’re trying to create. A simple “No” should be a sufficient correction. If he is barking excessively, place your hands on the upper and lower jaw, holding the mouth gently closed, and say “No.” Repeat as needed. Your tone of voice is important – don’t sound frustrated or angry, just firm. Remember the Saying "Patience Is A Virtue"
With a Shih Tzu, training may not happen overnight. But most Shih Tzu are highly intelligent, and with love and patience (and treats!) they’ll catch on.